This interview was given in autumn of 1999 to Alberto Carosa, Rome. The standoff between the Pope and the German bishops continues: this is the result at the end of the four day Autumn conclave in Fulda, where a divided episcopate came to the conclusive statement that the German Church would keep on offering abortion counseling. To this purpose the bishops would remain in the state counseling system at least "for an interim period", because they needed more time to agree on a response to the Vatican's instruction that it drop out. This response appears to be aimed at appeasing both blocs, those who were prepared to end the German Catholic Church involvement in the state abortion counseling and the others who would refrain from walking out on the system, on the grounds that their presence may still be instrumental in saving unborn babies. The long standoff dates back at least to 1995, when John Paul II for the first time tried on earnest to make the German church stop issuing counseling certificates, which women need to obtain legal abortions. In Germany abortion is illegal unless a woman can show that she has undergone counseling at a recognised guidance centre. Among these centres are some that are run by the German Church. Although the Catholic centres try to persuade women not to terminate a pregnancy, they sometimes fail and they are then obliged to release a certificate saying that counseling has taken place. The certificate can then be used to obtain an abortion. According to figures in the International Herald Tribune (26 September '99), about 20.000 women seek abortion counseling in Catholic-run centres each year, and church officials say at least 5.000 of them decide not to have an abortion. This long stand-off between the Vatican and German bishops over their presence in abortion consultancy clinics hardened in September when the pope wrote an official letter condemning a compromise reached this summer. The letter followed a meeting on June 15 between the pope and top German churchmen. It was an expected move since, one day after that June meeting, the Vatican declared the German Church's solution to the problem of its de facto involvement in the procurement of abortions inadequate. German bishops recently came up with a formula to remove the national Church's practical responsibility in the abortion question. They suggested writing on the certificates: ''This certificate cannot be used to procure legal abortions.'' This proposal was precisely the subject of the June 15 meeting between the pope, the Archbishop of Cologne, Cardinal Joachim Meisner, and the president of the German bishops'conference, Monsignor Karl Lehmann. ''Quite apart from the tolerance shown in certain circumstances for a law that cannot be changed, the response of the Holy Father on this concrete question is negative,'' the letter stated unequivocally. In response, Cardinal Lehmann, recently re-elected by a wide majority as head of the German bishops despite the pope's opposition to his liberal stance on the clinics, called on all his members to decide in their own conscience on the matter. Lehmann, 63, said the bishops' conference could only give advice but not force anyone to leave the guidance centres, although the Pope wants the bishops out of them. Moreover, the bishops who want counseling to continue will seek new talks with the Vatican to explain their position, according to a statement issued by the bishops' conference. Meanwhile, politicians appealed to the German bishops to stand firm and Catholic lay leaders announced that they would establish a foundation to take over the Church's role in abortion counseling if the bishops decide to withdraw once and for all. For a more in-depth insight into this complex issue, and its possible implications, few questions have been posed to professor Joseph Schumacher, a senior theologian and expert of German religious affairs. Besides being Professor of Theology at the University of Freiburg im Breisgau, Germany, father Joseph Schumacher is author of books and essays. He is also member of the "Pontificia Academia Theologica Romana", the "Pontificia Academia Mariana Internationalis" and the Roman Theological Forum. After his studies in Philosophy and Theology, he was ordained as Priest in the Diocese of Münster in 1959. He has worked in several parishes, including the Bishops's Office in Münster, prior to his appointment as extraordinary professor of Theology at the University of Freiburg in 1983. Q. Prof. Schumacher, are you in a position to reconfirm that the German bishops involvement in the state abortion system remains a very thorny and controversial issue? A. The Church's participation in the legal abortion system by issuing certificates that counseling has actually taken place in one of its centres concerned, is still extremely controversial in Germany, both within and outside the Church. As a matter of fact, the counseling centres of the Church continue to provide such service in case of unwanted pregnancy, giving out those certificates, which are a necessary pre-requisite for any legal abortion to be performed and which are in fact used for this purpose. This collaboration with the state was recently reconfirmed by the German Bishops' Conference in Wuerzburg last July. The position of the bishops is founded on and supported by the different organizations within the Church, which have also exerted and continue to exert pressure on the bishops, this is for sure. It is also strongly supported by theologians, especially by the moralists. Q. What is the attitude of ordinary faithful? A. Many faithful have a negative opinion about this position, especially those who are regular Sunday Churchgoers or attend mass even on weekdays. They view the bishops' decision to remain in the state counseling system in this form as inconsistent and untrue. They decided to insert a clause into the text of the counseling certificate, which they know it doesn't have any juridical obligation. They do not even want this juridical obligation at all, because they want to remain within the state system also for fear that their counseling centres may lose some of their clientele. According to these faithful, the bishops did not fulfill the Pope's desire with this attitude, or they did it only formally, but not substantially. It is significant that people of different philosophy agree with these criticism. Judging from many readers' comments and editorials in different newspapers and other media, the public at large appears to have reacted with disbelief and even shock at the position of the bishops. That is also the opinion of Archbishop Johannes Dyba of the Diocese of Fulda, as articulated in his interview in the newspaper "Die Welt" last August 9, 1999. Q. How would you explain this unanimity, save for Archbishop Dyba? A. It is difficult to say why the German bishops have taken this decision unanimously, with the only exception of Archbishop Dyba from Fulda, who in his diocese has gone his own way in this matter for years already. This unanimity is certainly pragmatic at least for a part of the bishops. On the one hand they feared the breakup of the unity within the German Bishops' Conference and on the other hand the massive complaints by the various church organizations in Germany, especially the protests and perhaps also the reprisals from the Central Committee of German Catholics (Zentralkomitee der deutschen Katholiken) as well as by the Caritas Organization (Caritas-Verband) and by the Catholic Women's Social Service (Sozialdienst katholischer Frauen) who are holding the catholic counseling centres. But also other organizations declared themselves decisively and even militantly for the collaboration of the Church with the state, like it has been up to now. They want to remain in the present state system and keep on giving out the certificates, so much so that they will hardly backtrack from that position. Q. To what extent renewed and stronger pressures from Rome could right the situation? A. It is difficult to say whether a new intervention of Rome would solve the painful problem. Two questions arise here: will the bishops have enough courage to face the inevitable confrontation with the relatively strong, dissenting lobby groups opposing the Roman position? And are those bishops who deviate from the Pope's position in principle prepared to turn back? Some of them will certainly do it, but hardly will all of them. Let us not forget that in Fulda 12 bishops openly said that they would not comply with the Pope's instruction. A. But isn't the bishops' position actually conflicting with their condemnation of the abortion pill? Q. Rightly so. Concerning the abortion pill RU 486 (Mifegyne), fortunately the German bishops were opposed to its introduction, unanimously and firmly, without exception. In a sense, it is surprising, because their opposition isn't quite consistent, as Archbishop Dyba pointed out in his abovementioned interview. After all, if actually they cooperate in legal abortions by giving the prescribed certificates in their counseling centres, the choice of method in procuring abortion is irrelevant; then they cannot be opposed to the legalization of the abortion pill in principle, all the more so since it is subject to a long list of restrictions. I don't think, however, that the legal introduction of the abortion pill in Germany last July 6, 1999, was somehow consciously connected to the German bishops' decision in Wuerzburg, when they suggested for the first time to write on the certificates the formula "It cannot be used to procure legal abortions". That rather seems to be a coincidental event. Q. May I ask what is your personal opinion as a senior theologian about the whole issue? A. In my private opinion, I've come to the conclusion that the consequences resulting from the bishops' decision are truly catastrophic. Not without foundation, the public has frequently charged the bishops with blatant hypocricy. The decision is destructive and demoralizing, without question. The damage caused is already immense. Through the bishops' decision, which, by the way, cannot be quite cleared of the accusation of cynicism, the Catholic Church in Germany has lost and will continue to lose a large amount of authority and public trust, if she doesn't change her course. From the theological perspective, the bishops' decision is - in my opinion - a vote against the Church's teaching, as presented in the papal encyclical "Veritatis Splendor", and for the so-called theological school of moral theology which is looking solely at the subjective intention of the doer. Q. Are you envisaging any particular development on the matter? A. Well, on the one hand, it seems at the moment that the German state might request that the counseling centres of the Church accept a number of conditions which they cannot accept, for instance, informing the mother of the concrete possibilities of aborting her child or adding to the papal clause that the impossiblity of using the certificate for a legal abortion is solely the opinion of the Catholic Church. Such requirements have already been suggested in the province of North Rhine-Westphalia (Nordrhein-Westfalen) by the Greens' Party. On the other hand, it looks as if the German state might one day allow abortions up to a certain term of pregnancy without the need of counseling. Then the problem will be solved by itself. However, it would be better, and more honourable, for the Church to leave the state system voluntarily, before her service is no longer wanted. This interview was given in autumn of 1999. Der Freiburger Professor Joseph Schumacher ist ein anerkannter New-Age-Experte. Be- reits 1991 warnte er in turibulum Nr. 5 vor der Bewegung, die er als „Herausforderung an das Christentum“ bezeichnete. Neun Jahre später fragen wir den Priester und Wissen- schaftler: Ist die Gefahr gebannt? turibulum: Wie gefährlich ist heute noch die New Age-Bewegung? Prof. Joseph Schumacher: Das New Age hat sich ausgebreitet in diesen Jahren. Daran gibt es keinen Zweifel. Genaue Zahlen hier anzugeben, ist jedoch schwer, weil das New Age sich einerseits als „sanfte Verschwörung“ versteht und weil es andererseits keine zentrale Leitung hat, obwohl es organisiert ist, ja, sogar vielfältig. Vor sechs Jahren schrieb ich in meinem Buch „Esoterik - die Religion des Übersinnlichen“, dass das New Age in Deutsch- land 3.000 Organisationen und Zentren hat, die als missionarische Agenturen zu verstehen sind, und dass im deutschen Sprachraum schätzungsweise 20.000 Personen ausschließlich vom New Age leben. turibulum: Kann man sagen, wie viele Anhänger es in Deutschland gibt? Prof. Schumacher: Die Zahl der festen Mitglieder schätzte man schon vor einigen Jahren in Deutschland auf 500 000. Das sagt jedoch wenig aus über den Einfluss dieser Bewe- gung. Dem New Age-Bewusstsein und der Ausbreitung des New Age verschreiben sich zahlreiche Institutionen und Einzelpersonen, bewusst, zum Teil aber auch unbewusst. Sehr mächtig ist das New Age durch seine Netzwerke. Jeder, der die „heilenden“ Wirkungen des New Age er-fahren und sich das neue Bewusstsein angeeignet hat, versteht sich ganz selbstverständlich als Missionar. Es gibt aber auch Institutionen und Einzelpersonen, die hauptamtlich im Dienst der New Age - Mission stehen. Die Zahl der Menschen, die im Einflussbereich des New Age leben, übersteigt die Zahl der hauptamtlichen und der ehrenamtlichen Missionare um ein Vielfaches. Das ist sicher. Das Gedankengut des New Age findet immer mehr Resonanz im öffentlichen Leben, und seine Missionare werden immer offensiver. Auch innerhalb der Kirche wächst der Einfluss des New Age, oft ohne dass die Betroffenen oder die Verantwortlichen darum wissen. Das ist merkwürdig ange- sichts der Tatsache, dass sich das New Age als Alternative zum Christentum versteht. Es ist eine Tatsache, dass unsere Seelsorge vielfach verfremdet ist durch esoterische Ele- mente, das heißt: durch Elemente des New Age-Denkens und der New Age - Praxis. Das gilt noch mehr für die Bildungsprogramme der Pfareien, aber auch für die Bildungsarbeit der Kirche im größeren Stil. Hier gibt es sicher viel Ahnungslosigkeit. Aber es kommt auch vor, dass man das esoterische Denken und die esoterische Praxis gewollt an die Stelle der authentischen Glaubensverkündigung setzt, denke ich, weil man meint, so könn- te man die Menschen eher erreichen und in Bewegung halten - auf lange Sicht gesehen sicherlich ein Irrtum Oder man hat sich tatsächlich zu einem esoterischen Christentum bekehrt oder hält das Christentum für vereinbar mit der New Age-Bewegung. Die „sanfte Verschwörung des Wassermanns“ schreitet also voran. Die Gedanken des New Age liegen in der Luft, und sie interessieren viele. Sie geben eine Antwort auf die Bedürfnisse der Menschen. Deshalb werden zunächst die jungen Menschen vom New Age angesprochen. Sie sind in erster Linie Kinder ihrer Zeit. Und schließlich wollen sie auf der Höhe der Zeit sein. Aber auch bei älteren Menschen finden New Age - Gedanken und New Age - Verhaltensweisen in größerem Umfang Gehör, mehr und mehr. Das New Age sagt und lehrt, was angenehm ist und was viele im Stillen erwarten. Es bietet dem Einzelnen emotionale, intellektuelle, spirituelle und wirtschaftliche Unterstützung. Es verspricht Ge- sundheit, berufliche Erfolge, Selbstvervollkommnung, Lebensqualität und vor allem das Glück. Immerfort ist im New Age die Rede von einer unbeschreiblich schönen Zukunft. Dabei erhält der Einzelne die Segnungen des New Age zu einem geringen Preis, nicht un- bedingt materiell - die Kurse und Seminare sind im Allgemeinen teuer - aber ideell, das heißt: ohne sittliche Anstrengung. turibulum: Was zeichnet denn dieses „Neue Zeitalter" aus? Prof. Schumacher: Das New Age empfiehlt sich dadurch, dass es die überkommene Moral auf den Kopf stellt oder liquidiert. Das Neue Zeitalter kennt nur noch ein Gesetz, nämlich die Gesetzlosigkeit. Demnach gilt hier: Tu, was du willst! Oder: Gut ist, was gefällt! Die Freiheit des Einzelnen wird extremisiert im New Age. Dabei macht sich das New Age zum Herold unserer „Spaßgesellschaft“. Deshalb verficht man im New Age auch die Freigabe de Drogen, der weichen und harten, und auch der exzessive Gebrauch des Alkohols und des Nikotins darf hier nicht geächtet werden - um der Freiheit des Einzelnen willen. Sehr wirksam ist heute das dem Neuen Zeitalter entsprechende neue Lebensgefühl das sich in allen Lebensbereichen auswirkt. Man schwört auf die New Age - Kleidung, auf den New-Age - Sport, auf die New Age - Küche, auf die New Age - Medizin, auf das New Age Todesverständnis, auf die Reinkarnation, auf die Astrologie, auf das weibliche Prinzip und auf die Zusammenführung aller Religionen zu einer Welteinheitsreligion. Dabei verbindet sich im New Age - Denken und auch im New Age - Handeln das Richtige mit dem Falschen so eng und so sympathisch, dass man das Falsche oft nur noch schwerlich als solches erkennen kann. Auch die Tatsache, dass heute die Vernunft immer mehr dahinschwindet, zeigt die Ausbrei-tung des New Age - Denkens an. In wachsendem Maße machen wir gegenwärtig die Erfah-rung, dass uns Menschen begegnen, die Absurdes behaupten, gleichzeitig aber den Anspruch erheben, das sei vernünftig. Das heißt: Das Gefühl ergreift mehr und mehr die Herrschaft über die Vernunft, und die Meinungen verdrängen die Wahrheit. Auch die häufig zu verneh-mende Berufung der Menschen auf das Gewissen gegen das Gesetz gründet letztlich in der New Age - Ideologie. turibulum: Ist der New Age - Trend abgeflaut? Sind entsprechende Bücher in den Buchhandlungen immer noch Verkaufsrenner? Prof. Schumacher: Die New Age - Konjunktur ist keineswegs abgeflaut. Im Gegenteil. Die Zahl der Bücher, die geschrieben werden über New Age - Themen ist eher gewachsen als zu-rückgegangen in den letzten drei Jahren. Die New Age - Literatur überschwemmt die Buchmessen. Und die Esoterik-Abteilungen finden mehr Zuspruch in den Buchhandlungen als die anderen Abteilungen, vor allem als jene, die christliche Literatur anbieten. Man kann schon sagen: Die Religion des New Age ist weithin die Religion der Massen geworden. Das ist nicht zuletzt dadurch bedingt, dass das New Age unendlich vielfältig und einsatzfreudig ist. Es bietet sich an durch Ausstellungen und Kongresse, durch Reisen, und Freizeiten. Da gibt es spirituelle Lebensberatung, Kreativ - Pädagogik, geistiges Heilen, spirituelle Körpertherapie, Reinkarnationstherapie, Offenbarungstherapie, Märchenthe- rapie und Atemtherapie. Da empfehlen sich Schulen für Magie, für psychologische Astro- logie und Seminare, für Yoga, für östliche Meditation, für spirituelles Körperbewusstsein, für Astrosoma, für ganzheitliches Leben oder ganz einfach für „Power“ und Kurse für Kinesiologie, für Avatar, für Tarot und für Tantra. Ja, selbst die merkwürdige Idee von den „fliegenden Untertassen“ wird hier ernst genommen. Das alles strömt ein in das Vaku- um des schwindenden Glaubens der Christen. Es gibt inzwischen nicht wenige Zeitungen und Zeitschriften, die sich ausschließlich in den Dienst der Werbung für die Aktivitäten des New Age und für die Inhalte dieser neuen Welt-anschauung stellen. turibulum: Interessiert man sich im Zeitalter von Internet und Multimedia noch für Esoterik? Prof. Schumacher: Internet und Multimedia werden in Dienst genommen durch die „sanfte Verschwörung des Wassermannes“. Ich selber erhalte regelmäßig New Age - e-mails, manchmal täglich, die werben und informieren. Auf die modernen Massenmedien hat das New Age von Anfang an sein Interesse gerichtet, wenn es nicht gar seine Hand darauf ge- legt hat, besonders auf das Fernsehen. Aber die New Age - Propaganda lässt es dabei nicht be-wenden. Sie ist erfinderisch. Und sie setzt alles ein: die Schulen, die Universitäten, die Po-litik, die Kunst, die Literatur und nicht zuletzt die Institutionen der Freizeit, die heute ein wichtiger Faktor sind, weil die Freizeit der Menschen wächst und weil vor allem auch die Zahl der Rentner immer größer wird. Ihnen widmet das New Age heute seine besondere Auf-merksamkeit. Die Strategie des New Age ist die der Unterwanderung. Die- se Unterwanderung macht nicht Halt vor der Kirche, vor ihren Gemeinschaften und Orden und vor der Theologie. Warum sollte sie es auch? Ich denke, hinsichtlich der In - Dienst - Nahme der modernen Massenmedien können wir von den New Agern lernen. Aber nicht nur da. Auch in der Konsequenz, mit der sie sich in den Dienst der Bewusstseinsveränderung der Menschen stellen. Undiskutabel ist für uns jedoch die Strategie des New Age, die Methode der „sanften Verschwörung“. Für uns als Christen gibt es nur den direkten Weg im Respekt vor den Menschen und ihrer Freiheit. Unser Glaube gebietet uns, mit offenen Karten zu spielen. turibulum: Man könnte das Gefühl haben, dass in einer säkularisieren Welt selbst für Ersatzreligionen kein Platz mehr ist. Ein falscher Eindruck? Prof. Schumacher: Mit Sicherheit ist das ein falscher Eindruck. Auf die Ersatzreligionen kann der Mensch nicht verzichten. Das Religiöse gehört zum Menschsein des Menschen. Wo der Glaube zur Tür herausgeht, steigt der Aberglaube durch das Fenster herein. Der Aberglaube ist heute sehr verbreitet, der Aberglaube und auch die Bereitschaft zu ihm. Auch in der Kirche. Das zeigt sich nicht zuletzt in den immer neuen Marienerscheinungen und himmlischen Botschaften, von denen man berichtet. Man muss seinen Blick schärfen für die verschiedenen Formen der Ersatzreligionen heute. Das New Age ist eine Religion, in der Tat, eine neuheidnische Religion, so kann man sagen. Das New Age ist eine unver- bindliche Religion oder besser: Es ist Religiosität, und zwar verflachte, letztlich unernste, auseinanderflie-ßende und diesseitige Religiosität. Mit Recht hat man das New Age als eine vielgestaltige weltliche Heilslehre bezeichnet, denn es verspricht das Paradies auf Erden. Tatsächlich bringt es jedoch den totalen Zusammenbruch, das Chaos, den Unter- gang. Das New Age ist als Religion ohne Konturen, und es ist für eine Vermischung der Reli- gionen. Deshalb dürfte überall da, wo ein fest umschriebener Glaube verdächtigt wird, die Ideologie des New Age am Werk sein. Auch etwa der Ruf nach der Interkommunion, der Ruf nach dem gemeinsamen Abendmahl von Protestanten und Katholiken, der in letzter Zeit immer lauter ergeht, ist wohl inspiriert von der New Age - Ideologie. turibulum: Gibt es einen Zusammenhang zwischen New Age - Bewegung und Okkultis- mus? Prof. Schumacher: Der Okkultismus, das Vertrauen auf die Magie, ist eine tragende Säule des New Age. Im New Age nennt man das im Allgemeinen Mystik. Das klingt besser. Richtiger müsste es jedoch heißen Mystizismus. Der Mystizismus ist falsche Mystik. Die echte Mystik begegnet uns im Leben der Heiligen und begnadeter Menschen. Sie ist ein Geschenk Gottes. Die falsche Mystik aber ist Menschenwerk, und sie gründet im Aber- glauben. Es ist bezeich-nend, dass es kaum ein Wort gibt, das soviel im Munde geführt wird im New Age wie das Wort „Mystik“. Diese Mystik ist indessen eine Imitation der echten Mystik. Dabei ist sie zuweilen nur schwerlich zu entlarven. Intensiv wird sie inde- ssen propagiert durch eine wachsende Zahl von Schriften, nicht zuletzt durch die Schriften des vor kurzem verstorbenen deutschen Schriftstellers Michael Ende („Momo“, „Die unendliche Geschichte“, Anm. der Red. ), wiederum in der Strategie der „sanften Ver- schwörung“, also unmerklich. Wir müssen uns klar machen: Für das New Age ist der ganze Kosmos von Geistern belebt und durchwirkt, mit denen man angeblich in Kontakt treten kann. Besondere Formen solcher Geistkontakte sind die Geistheilung und das Geist - Diktat. Geistheilung und Geist - Diktat sind beliebte Themen in den inzwischen zahlreichen New Age - Zeitschriften. turibulum: Spielt die Jahrtausendwende eine Rolle im New Age? Prof. Schumacher: Sie wird im New Age nicht so thematisiert, wie das etwa in der Kirche der Fall ist. Sie spielt aber insofern eine gewisse Rolle im New Age, als man mit dem neu- en Jahrtausend das Wassermann - Zeitalter verbindet, das das 2000jährige Fische - Zeit- alter ablösen und wieder rund 2.000 Jahre dauern soll. Den Beginn legt man nicht so genau fest. Das Fische - Zeitalter wird dabei dem Christentum und der Kirche zugeordnet und in den dunkelsten Farben gezeichnet. Umso heller zeichnet man das Wassermann - Zeitalter, steht es doch in der Sicht der New Age - Ideologie im strahlenden Glanz der absoluten Freiheit und der allgemeinen Menschheitsbeglückung. turibulum: Wie kann die Kirche auf die Herausforderung reagieren? Prof. Schumacher: Das Erste ist, dass sie sich und die Gläubigen informieren muss über die „sanfte Verschwörung“ und ihre Inhalte. Das geschieht nicht. So mein Eindruck. Im Gegenteil, man ist ahnungslos. 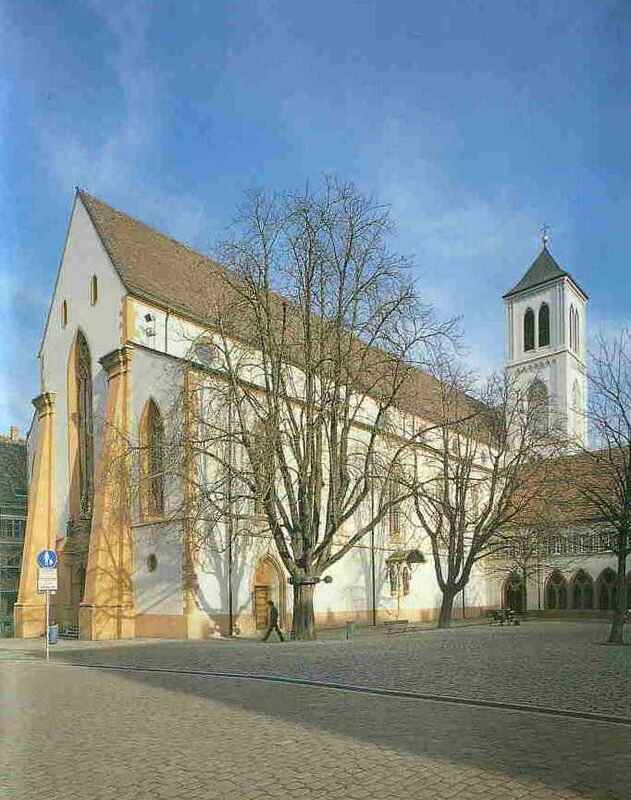 Sodann muss die Kirche besorgt sein, dass sie sich nach innen hin orientiert und dass sie ihr Ureigenes betont: die Glaubensinhalte, das Glaubens- leben und das Gebet. Ich sagte, dass das New Age in das Vakuum der Kirche und des Christentums einströmt. Folglich muss die Kirche sich darum bemühen, das entstandene Vakuum selber wieder auszufüllen. Sie hat unendlich viele Reichtümer, die Kirche, aber vielfach wissen das nicht einmal mehr die Verantwortlichen in der Kirche. So rennen sie mit heraushängender Zunge dem Zeitgeist nach. Dieser Zeitgeist aber ist der Geist des New Age. Sie machen es anders mit turibulum. Sie wissen noch um die Reichtümer des Christentums und der Kirche. Ich denke, die Seelsorge würde weithin erfolgreicher sein, wenn sie bei Ihnen in die Schule gehen würde! turibulum: Herzlichen Dank, Herr Professor, für dieses Gespräch! Aus: „ turibulum“ Das Ministrantenmagazin, Mai / Juni 2000 (Nr. 53), S. 19 – 22.